I was always a picky eater when I was a child; I was the one who spent extra time at the table to eat my vegetables. My sister was surprised when I told her recently that I would wrap the veggies I didn’t like into my napkin, put it in my pocket and then when I went outside I would stuff the napkin in a tree in our backyard that had a hole in the side. She wished she would have known about that when we were kids so she could have done the same. 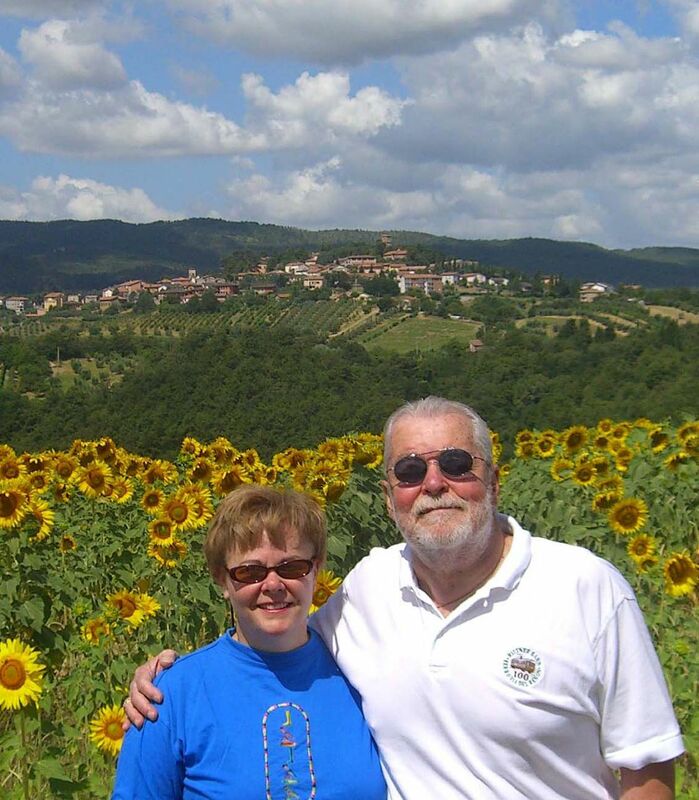 When we got married Valerie began to introduce me to foods I had never tried before: zucchini, eggplant, fennel, etc. She also prepared things I wouldn’t eat before in new ways that appealed to my taste buds. One of her favorite things to do was to mix vegetables into dishes where you would never know they were there. She called it sneaking in some healthy stuff. Since we have moved to Italy I have also found other fruits and vegetables I would never eat before. For example my staple of fruits in America consisted of apples and bananas and an occasional pear; I preferred the canned syrupy pears to fresh. In Italy the fruits and vegetables are fresh and ready to eat when you buy them. The markets list where the fruits and vegetables come from and the majority are listed as “Italia”. Now is the time for citrus and the markets are full of fresh lemons and the small bright little clementine. I never ate these until we moved here and this time of year I like at least one a day. Last summer we feasted on fichi, cachi and kiwi; all of these were new flavors to me. The strawberries are bursting with flavors and I have a new favorite in yogurt with strawberries; chunks of fruit only please. Last winter I bought a dish for our table from one of the local ceramic artists that we keep filled with the fresh fruits of the season. I have also come to enjoy the occasional fresh tomato with olive oil and fresh basil or on bruschetta with mozzarella. Before moving to Italy I would only eat tomatoes out of a can and preferably diced into sauce. I am even more willing to indulge in dishes with mushrooms as they are everywhere in this part of Italy. I admit I have always been a picky eater but I do believe I have expanded my fruit and vegetable choices since we moved to Italy. bit pickier than Art, neither of us would call ourselves picky eaters, but like you, we've discovered so many new fruits and vegetables since moving to Italy. Here, especially in the weekly markets, everything looks so beautiful...eggplants are huge and glossy purple, oranges still have fresh leaves attached, artichokes are trimmed as you watch. In the states the vegetables were always so small, covered with wax, not very appealing at all. Here in Italy we can't help but eat whatever's in season! BTW, complimenti for being brave enough to try new things! I agree that food looks much better when it isn't wrapped in plastic and has the colors of "fresh". When I first came to Italy (36 years ago) I couldn't understand why the food tasted so much better. It couldn't be attributed solely to seasoning. Then a wise old American woman told me, "Fresh food tastes better. The food here is fresh, frequently picked the same morning. It used to be like that in America." Alas, in recent years more and more Italian produce is no longer truly fresh. It is a slow creep but it is coming. Good for you! My English bloke was the same, but more and more he is trying new foods and he likes them.